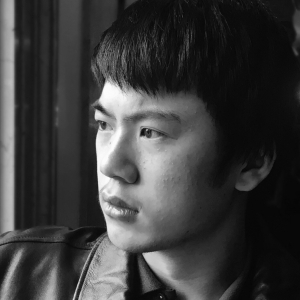 Haotian Yu is working towards a Bachelor of music composition at the Eastman School of Music, where he is a recipient of the prestigious full-tuition Lois S. Rogers merit scholarship. He currently studies composition with Carlos Sanchez-Gutierrez. Born in Shanghai, China, and spent his formative years in Ottawa where he studied as a private student with both Brian Cherney and Steven Gellman. Embracing cultural exchange, his works are most often informed by traditional Chinese aesthetics and philosophy. Recent works, for example, have explored organizational principles of Chinese shan shui (monumental landscape) painting and wu xing cosmology. He is the recipient of several awards, including the Rising Stars Scholarship Prize from the Ottawa International Chamber Music Festival and the Royal Conservatory of Music’s National Gold Medal in music theory examinations. The latter he obtained as part of his Associate of the Royal Conservatory of Music Diploma in Piano Performance, which he completed with distinction under the tutelage of Chunson Park. He continues to study piano performance with Tony Caramia at the Eastman School of Music.